The 1972 crash of Eastern Airlines Flight 401 is the classic example of Controlled Flight into Terrain (CFIT), an aviation term used to describe a perfectly air-worthy aircraft under complete pilot control being inadvertently flown into the ground or an obstacle. When Flight 401 approached Miami International Airport, an indicator light failed to illuminate and signify that the nose gear was locked into the down position. Three experienced and highly qualified pilots became so fixated on the non-illuminated landing gear light that no one noticed that the autopilot automatically disengaged at 2,000 feet. By the time they realized what was happening, it was too late. 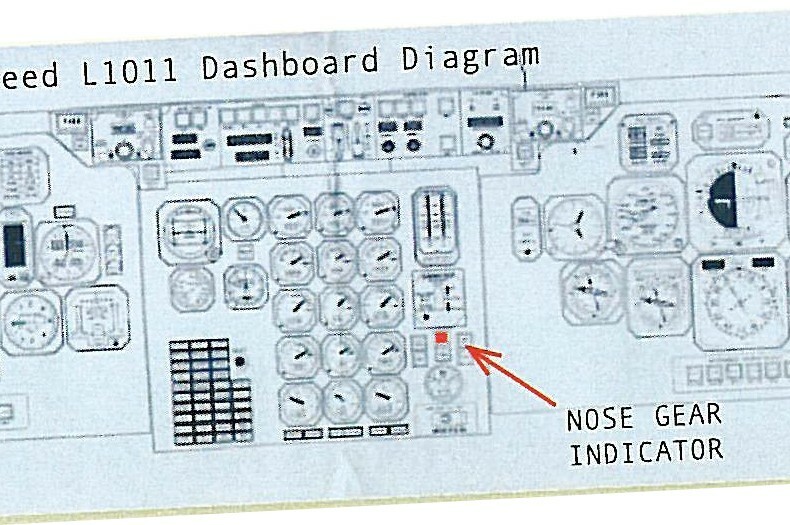 Since that crash, all airlines have instituted a training program known as Cockpit Resource Management (CRM), which insures that during unexpected circumstances someone in the cockpit remains singularly focused on the most important task— flying the plane. On June 25th, 2013, my son, Barrett, and I took off from Nashville’s John C. Tune Airport Regional Airport in my Cirrus SR22 Turbo on a trip to Des Moines, IA. I climbed to 3,000 feet, set my heading at 310 degrees NW, and was soon cleared up to an altitude of 15,000 feet. 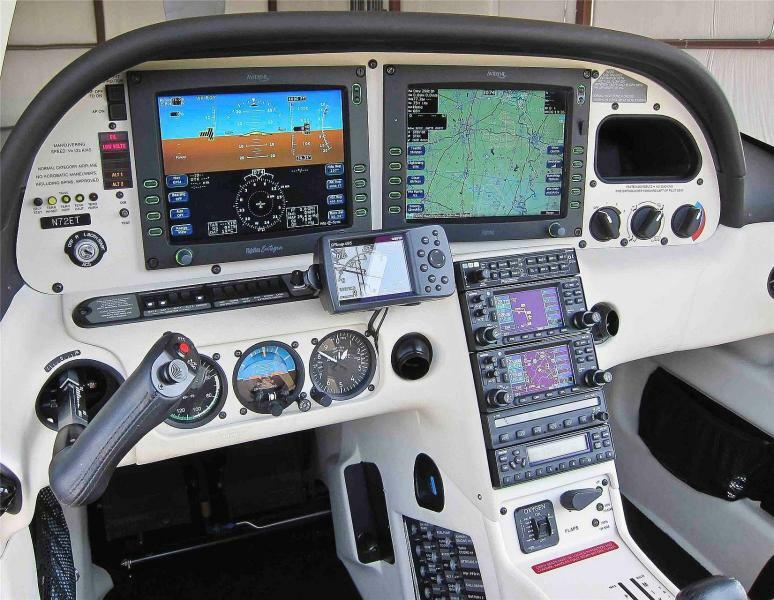 I’m obsessive-compulsive when it comes to pilot checklists and standard procedures. I’d gone through the same routine thousands of times in my forty years of flying, but there was nothing routine about this time. When I gave the engine full throttle and began to climb, the plane started shaking violently. That quickly became one of my most unnerving experiences. Barrett and I looked at each other, and I asked, “What’s wrong with the engine?” After a few seconds, however, my training kicked in, and I began to say to myself, “Don’t worry about the engine performance right now; get focused and just fly the plane!” I radioed the tower and returned to Tune. Had I spent another five minutes trying to diagnose the engine problem; we might have ended up in a smoking hole. Great attention to detail is usually advertised as a wise and virtuous leadership characteristic. However, unorganized and non-prioritized attention to detail can lead to disaster, as was the case with Eastern Airlines Flight 401. There has never been a time when nonprofits have had immediate access to as much data on donors and their giving. But more data has not necessarily made us smarter, wiser, or better decision-makers. Excessive amounts of data can cause nonprofit leaders to lose focus and forget what we have been trained to do—thus, the emergence of business intelligence dashboards. The purpose of a strategic dashboard is to provide quick, up-to-date, and easy-to-read measurements of key performance indicators. So, here are a few dashboarding tips. TIP #1: STRATEGIC DESIGN—Selection is the Real Trick. Collecting the data and getting it onto a virtual dashboard is relatively easy. The more important part is having the foresight to place the key performance indicators front and center. Using the pilot analogy, three big gauges (altitude, heading, and air speed) stare me right in the face. Those are the metrics that show me how well I am flying the plane, and I monitor them constantly. Smaller gauges represent performance indicators that I don’t need to monitor as frequently. “Attention to D-level donors” refers to the frequency and degree to which you are communicating with your D-level donors. With several years of relationship building, some of your C’s and D’s will become your A-level donors. If you’re not upgrading relationships with your C’s and D’s, your organization will be in for trouble down the road. The previous article entitled, “CULTIVATION STRATEGY: Fundraising for Your First Quarter,” describes a systematic approach to communicating with donors on all four levels. TIP #2: PERFORMANCE FOCUS—You can only control what YOU do. Modern fundraising software enables development staff to track and analyze donor performance in every way imaginable—most recent gift, giving frequency, annual giving, lifetime giving, average gift, and so on. Nonprofits can even contract third-party consultants to perform donor-base audits to obtain even more data to crunch. However, DONOR PERFORMANCE is a gauge I recommend that you monitor only about once a year, simply because it’s a performance metric you can’t control. All you can control is your development staff performance. Consequently, gauges related to STAFF PERFORMANCE are the ones that should command your undivided attention—calls, visits, touches, and attention to A’s through D’s. Departments designated with names such as “Communications,” “Advancement,” and/or “Development” can have a long and very diverse list of responsibilities. Consequently, executives and support staff in those departments can get caught up in meetings regarding every imaginable aspect of a growing organization. Increasingly, nonprofit executives have developed a habit of watching and even becoming fixated on the wrong gauges. In other cases, the number of hands-on-deck has not kept up proportionally with the increasing size of the organization’s ship. After all, when the donations are rolling in, why hire more staff? With less time at their disposal, executives begin to focus only on the A- and B-level donors. The number of visits, calls, and touches also decrease. Due to their size and success, they begin to celebrate DONOR PERFORMANCE rather than remaining focused on the key indicators of DEVELOPMENT STAFF PERFORMANCE. In other words, they are focused on the wrong gauges and forgetting the essentials of flying the plane. TIP #3: ORGANIZATIONAL HABITS: Systematic approach and high accountability are the most prominent characteristics of every great fund development operation. This was the driving idea behind the creation of our own development software package, Gift Clarity. It has all the number-crunching capabilities to monitor DONOR PERFORMANCE. However, the front-and-center dashboard gauges are all about DEVELOPMENT STAFF PERFORMANCE. We’ve seen two kinds of responses to the Gift Clarity process: Nonprofit executives who love it and those who resist it. The lovers are in love because their staff is accountable to remain focused on the most important tasks and, as a result, donations at their institutions have increased significantly. The (Gift Clarity) front-and-center dashboard gauges are all about DEVELOPMENT STAFF PERFORMANCE. The resistant are generally those who prefer not to be so focused on DEVELOPMENT STAFF PERFORMANCE indicators. In other words, they feel that they perform better when they don’t have to look at those gauges. They are, in effect, “flying by the seat of their pants.” See “THE EFFECTIVE ASK: Sticking to a Script or Flying by the Seat of Your Pants.” Without a high level of accountability to staff performance metrics, they and their organizations will eventually find themselves in trouble. The fact remains—highly successful development departments are characterized by a systematic approach combined with high accountability. More importantly, those systems and accountability metrics have been in place long enough to become core institutional habits.